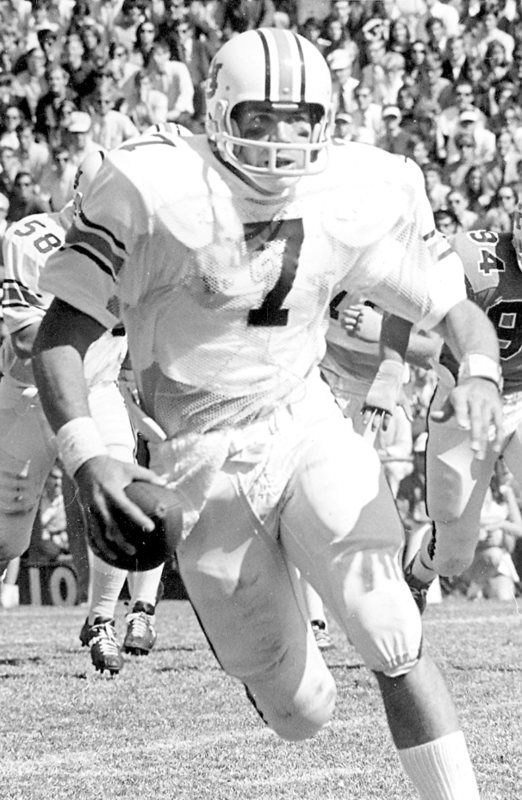 Former Auburn University quarterback Pat Sullivan won the Heisman Trophy in 1971. Photo special to the Journal. It’s been 47 years since Pat Sullivan won the Heisman Trophy, and now he’s set to receive another prestigious Heisman honor. The Heisman Trophy Committee will travel to Birmingham on Oct. 15 to present Sullivan with its first-ever Lifetime Achievement Award. Sullivan, 68, is a football legend. After graduating from John Carroll Catholic High School 50 years ago, he went on to win the Heisman while playing quarterback at Auburn University. He also is a member of the College Football Hall of Fame, having been inducted in 1991. Sullivan has been a head coach at Texas Christian University and Samford University and had assistant coaching stints at Auburn and the University of Alabama at Birmingham. Sullivan also is a cancer survivor. He was the offensive coordinator at UAB when his battle with throat cancer began in 2003. He’s now nourished through a feeding tube and has an oxygen tank to help him breathe. Both are the results of radiation treatments that killed the cancer in his throat and a later surgical procedure that caused damage. These days, Sullivan and his wife, Jean, spend time with their children and grandchildren. He also is active in local charity organizations that benefit underprivileged children and serves on the UAB Comprehensive Cancer Center advisory board.